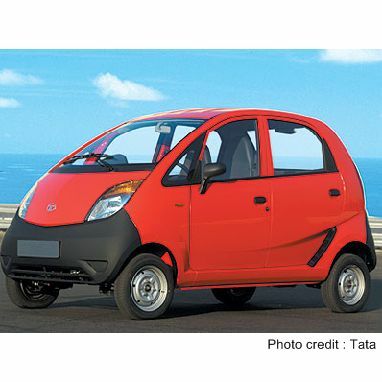 The Indian conglomerate Tata is launching today the world cheapest car, the Nano. For the equivalent of 1,700 € (or 2,500 USD), Tata proposes a very energy efficient car. 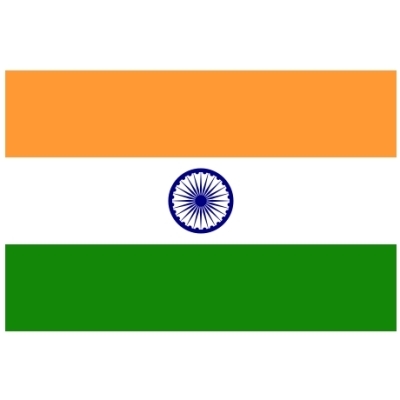 With a mileage of 70 miles per gallon (4 litres for 100 km), this car have a huge market potential as only seven million Indians own a car, out of the billion people in the country. Today, we indeed have a People’s Car, which is affordable and yet built to meet safety requirements and emission norms, to be fuel efficient and low on emissions. We are happy to present the People’s Car to India and we hope it brings the joy, pride and utility of owning a car to many families who need personal mobility. The People’s Car has a rear-wheel drive, all-aluminium, two-cylinder, 623cc, 33ps, multi-point fuel injection petrol engine. This is the first time that a two-cylinder gasoline engine is being used in a car with single balancer shaft. The lean design strategy has helped minimise weight, which helps maximise performance per unit of energy consumed and delivers high fuel efficiency. Performance is controlled by a specially designed electronic engine management system. The People’s Car’s tailpipe emission performance exceeds regulatory requirements. In terms of overall pollutants, it has a lower pollution level than two-wheelers being manufactured in India today. The high fuel efficiency also ensures that the car has low carbon dioxide emissions, thereby providing the twin benefits of an affordable transportation solution with a low carbon footprint. 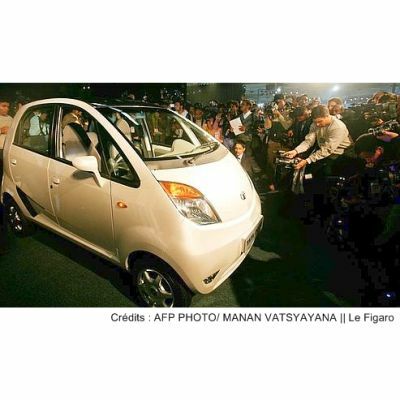 To me the Nano is a very good example of what western world car makers like Renault, Volkswagen or Ford could do. Indeed, do we really need a large car to go from point A to point B within towns ? I really doubt that the Nano will never been sold in European markets, but the idea is here. Peugeot Citroen might launch a car quite similar in size, which would be a hybrid one. For further details, check out my previous article La C-Cactus, un prototype hybride chez Citroën [Fr]. One thing worth noting to conclude is that Tata, the company behind this cars is a large Indian conglomerate that produces many different products, from steel to tea. Learn out more by reading the company’s profile on it’s website. La “Nano”, consommant quelque quatre litres d’essence aux 100km, répond en effet à toutes les normes de sécurité internationales et sera la voiture la moins polluante d’Inde, a assuré M. Tata. Rajendra Pachauri, membre du Groupe d’experts intergouvernemental sur l’évolution du climat (GIEC) co-lauréat du prix Nobel de la paix 2007, a déclaré en décembre dernier que la perspective d’une voiture à bas coût lui donnait des “cauchemars”.